Next week another Fashion Week is unleashed on Portland. Last year I went and had a blast. This year’s lineup looks even mightier. For a fun and very atypical Portland experience, I suggest you attend, and get the VIP seats. It’s worth it. Enjoy! FASHIONxt is a fashion forward lifestyle showcase and runway show. Fashionxt debuts fashion designers collections on the runway while launching the latest in technology in our adjoining lifestyle plaza. This entry was posted in community, events, fashion, men's clothing, portland, styling, women's clothing and tagged clothing, fashion, pdx on October 6, 2012 by pualana. Here I’ll keep you in the know of the my current obsessions, musings, and hilarious fashion encounters. I am totally obsessed with making sure you look your best, and feel the most confident every day, so you don’t have to! Men, women, kids, no matter how big or small, I work with everyone. This venture is a work in progress, so there might need to be some changes along the way. If you have any questions about what I can offer you, please don’t hesitate to contact me. 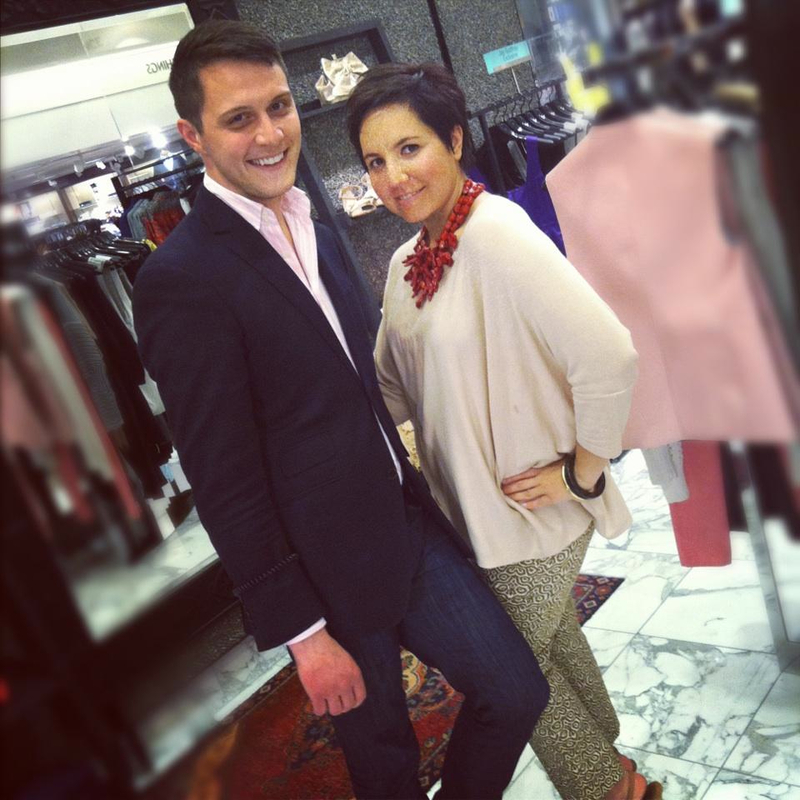 Stylist James Rockwell and I strike a pose. This entry was posted in events, fashion, men's clothing, portland, styling, women's clothing and tagged beauty, fashion, personal stylist, style on August 30, 2012 by pualana. At Cacao. You can’t go wrong. For just $2, a shot of delicious drinking chocolate can be yours. Spiked with cinnamon, mexican spices, or extra creamy, they’re all so yumm. It’s a purely decadent bargain. Stop in the next time you’re in town. 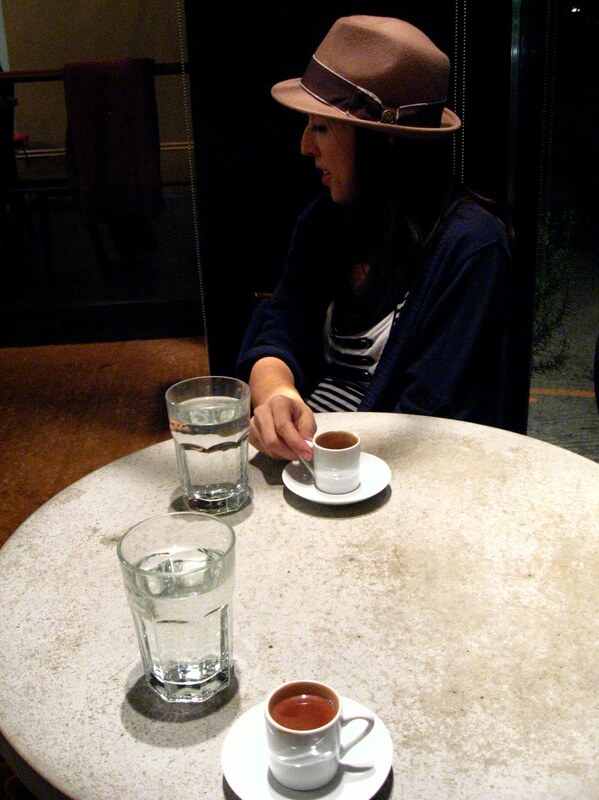 Sabrina enjoying the cinnamon chocolate shot at Cacao on 13th Ave, Portland. This entry was posted in food, portland and tagged shopping, travel on May 23, 2012 by pualana. Score some of the best thrift for just a buck! It’s the $1 Save Wildlife from Trash sale today, Saturday, April 28 at all Buffalo Exchange locations (nationwide)! Throughout the year sale items or out of season goods that didn’t sell are collected and put out for this awesome one day event. Chaos yes, but I’ve been advised it’s one sale not to be missed! This entry was posted in Accessories, bargains, community, events, men's clothing, portland, women's clothing and tagged buffalo exchange, clothing, shopping on April 28, 2012 by pualana. Bargains can be had anywhere, but your best and most frequent chance comes at a thrift store. And seeing that today is Earth Day, help the world by recycling fashions! For example, a recent find at Goodwill, SW Portland at 10th & Taylor, makes thrift shopping more thrilling than walking into a department store. Yes, a task such as this does require patience, but the quest for the loot keeps me guessing, and I always have fun in the hunt.At this one and only Goodwill Boutique in Portland, the best day to hit the racks is Wednesday. The designer goods seem to appear most frequently then, though new merchandise is unloaded Mondays, Wednesdays and Fridays. Don’t expect to find the discount color tags here, if the goods don’t sell within a few weeks, they get packed up and sent back to the regular Goodwill shops around town. The boutique is run by a few great folks that have an eye for yummy stuff amongst the junk. The sales staff here are friendly and honest, not always the case. The only downside to this stellar store-front is that it’s too often packed with numerous have-to-haves. I only say too much because I’m often torn at what I can ultimately afford. You just can’t have it all, all the time. But seriously, just how can you say no these pretties? 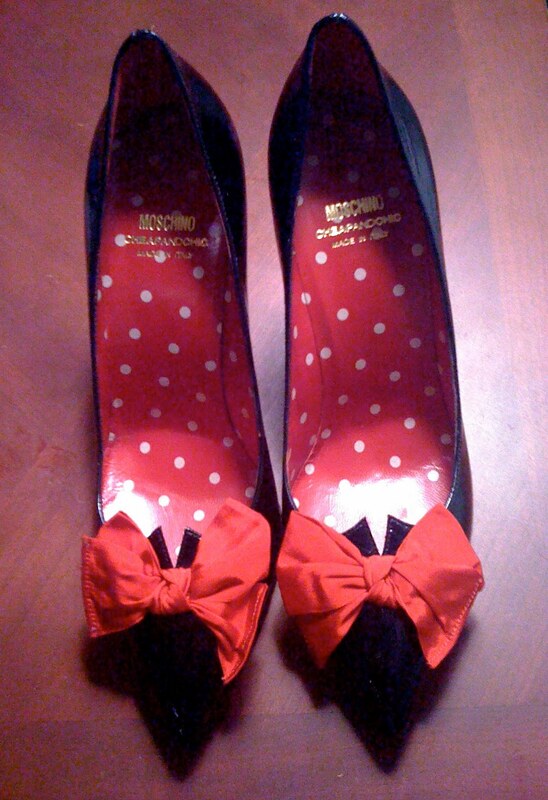 Moschino black patent leather pumps with red bow detailing and a four inch matching red heel make these pumps a home run! Certainly Carrie Bradshaw would be happily caught wearing such a pair. Helping to save the planet, one pair of shoes at a time. This entry was posted in Accessories, bargains, how to, men's clothing, portland, women's clothing and tagged clothing, patent leather pumps, shopping, style on April 22, 2012 by pualana.